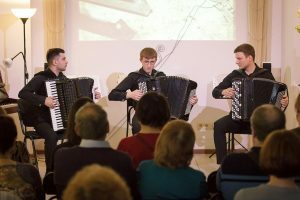 A group of young and talented musicians “A-TRIO”: Aleksey Shabaev, Andrey Gilyazetdinov and Artur Kazaryan (button accordion), together with Aleksandra Turintseva, lyrical and dramatic soprano presented an unforgettable vocal and instrumental concert. 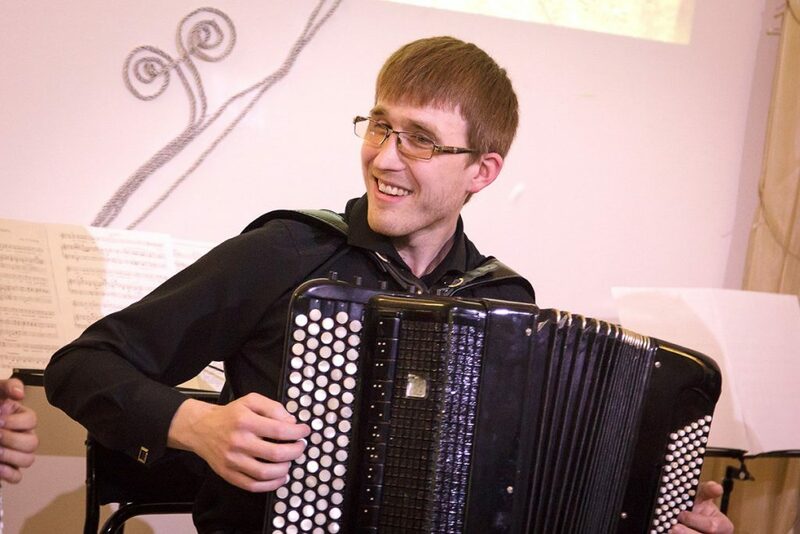 The program brought together a combination of musical pieces from different genres from the Baroque period to our days. 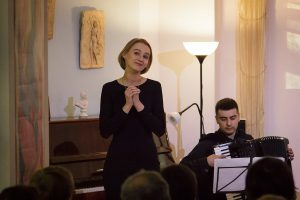 We enjoyed wonderful pieces by A. Vivaldi, I. Stravinsky, A. Hachaturyan, I. Dunaevsky, P. Tchaikovsky among others.